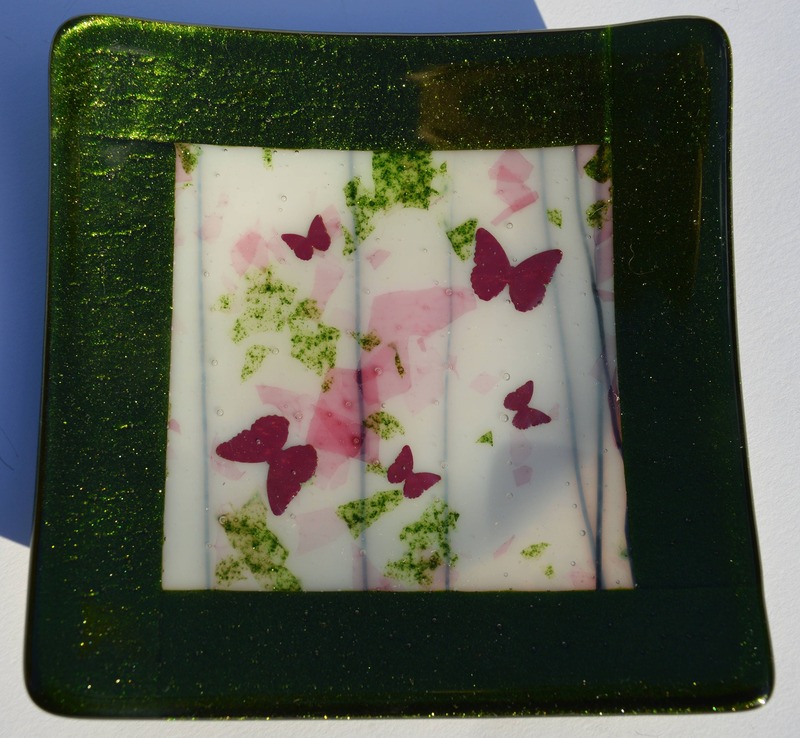 Beautiful square glass candy bowl/trinket dish measuring 15cm square. 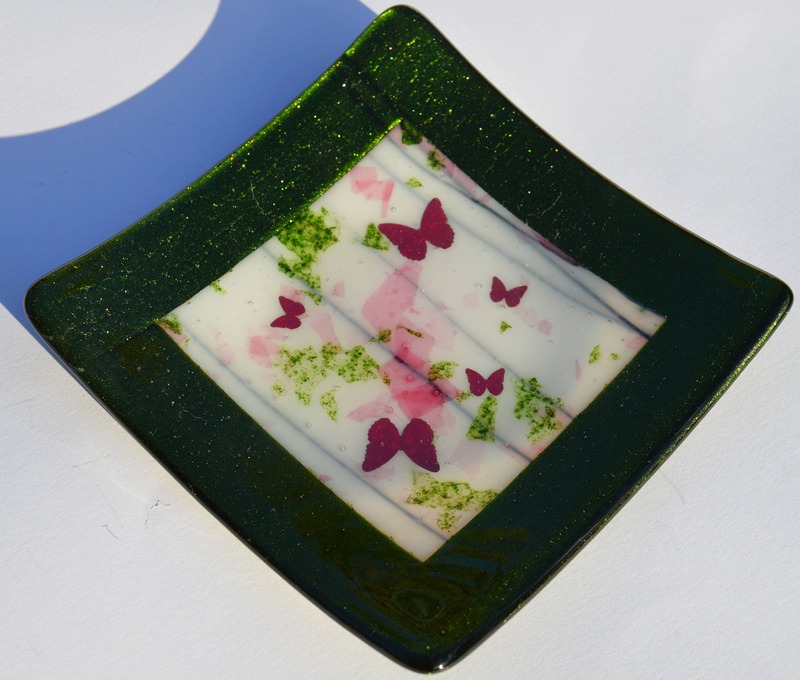 The centre of this bowl is made from a delicate translucent white glass with black squiggles and little fractures of pink and sparkly green glass which resembles a summery garden scene. 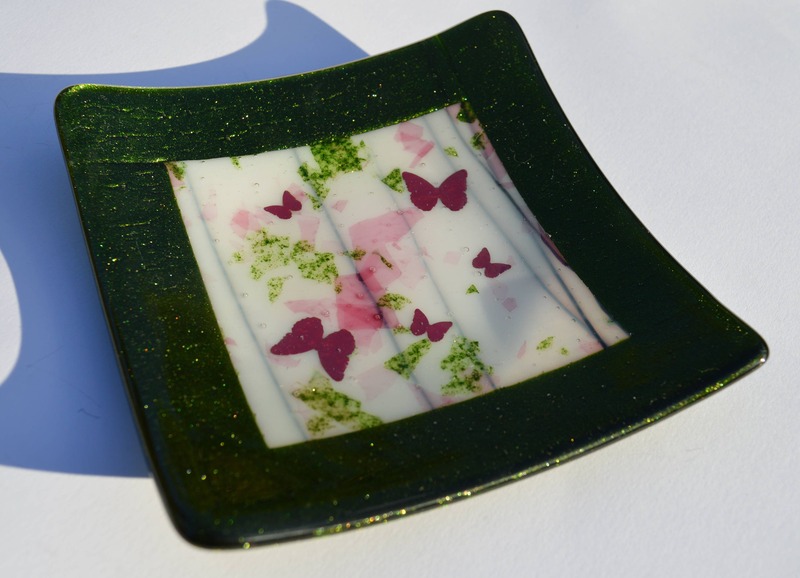 The border of the dish is a sparkly green colour and six little copper butterflies have been fused under a clear glass cap. Made in my small home studio so a unique piece. 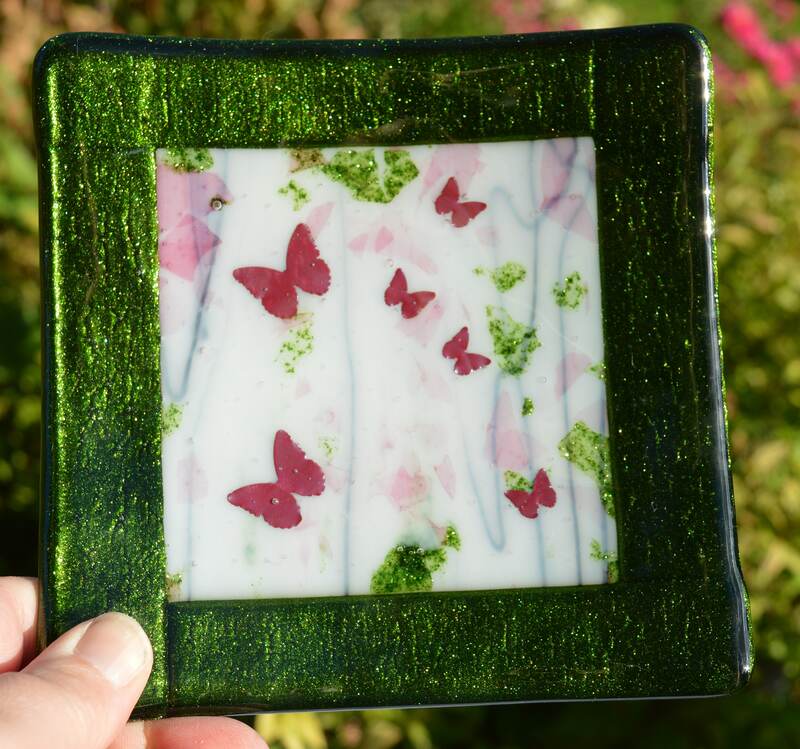 Item is food and dishwasher safe and comes presented in tied and wrapped in my hand stamped paper.